What’s in a name? Victoria and I thought you might like a peek behind the scenes at some of the writer’s craft of picking names. Names are such an important part of any story. They’re a blessing, a pleasure and a chore for the author. Speaking as a reader, I hate it when characters in the same book have similar names or several names beginning with the same letter. I once started a novel where seven characters had names beginning with A on the first three pages (Anne, Annie, Alice, Andy, Amelia, Amy etc) I don’t know what happened on page 4 because I didn’t get that far. We don’t really begin to love a character until we’ve settled on the right name, often there have been many changes during early drafts. Once the final name choice is made, then we’re in good shape, and the character can begin to develop as an individual. We even care a lot about the pets. In the Charlotte Adams mysteries, the rescued dachshunds were a lot like Daisy and Lily, but I named them for Canadian chocolates, Truffle and Sweet Marie. The names suited. I am struggling in my latest Camilla MacPhee book because it’s set in Cape Breton, a scenic island off the coast of Nova Scotia and the place I was born. Plus our Lorraine spent her honeymoon there! The island looks a lot like Scotland and was settled by Scots in the 1700's. Many people there not only have the same first names, but also the same last name. More than half the population is proud to be MacDonald! In life they can work it out, but it will be a challenge keeping them separate and yet sounding authentic in a book. There was also an old-fashioned custom for girls to have been named for their fathers or uncles: Camilla’s sisters are Edwina, Alexa and Donalda might be typical. For every book I’ve done, and those that Victoria and I have written, there’s been an alphabetized list of names first and last laid out to help make the decisions. These alphabetical lists helped simplify things and we hope to make it easier for the reader to know who each person is and to be able to distinguish people of the same age and type. Names not only identify a person, but they give the reader an idea about that character’s age, ethnicity and possibly more. Camilla MacPhee’s eightysomething sidekick is Mrs. Violet Parnell, a name that fits her demographic. 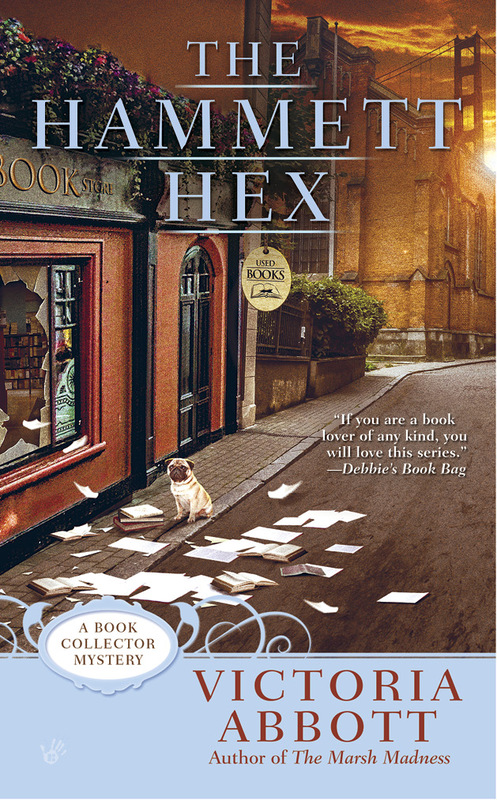 Meanwhile in the book collector mysteries, Vera Van Alst is nearing sixty and the ageless cook is Signora Fiammetta Panetone. If Vera and Violet had been in the same series, one would have been changed. We think the names do the right job. In the Camilla MacPhee books, Ray Deveau’s daughters are Ashley and Brittany. Those names were chosen to tell you roughly how old they are and that they’re from an English speaking family. They have the cadence of that culture. Ray is Acadian French from Cape Breton, so I wanted his name (Raymond) to be pronounced either in the English or the French way and his friend Sgt. Leonard Mombourquette’s name works the same way. Of course in the book collector mysteries Jordan has hot and cold running relatives: all Irish crooks: We won’t run out of names for the Kellys soon, with Mick, Lucky, Kev, Danny, Dennis and Billy all making appearances. There are plenty more in the back pocket! Jordan’s friends Lance and Tiffany sound like their generation as does Jordan herself, although Vera likes to complain that it’s a man’s name. What would she have thought of MacKenzie or Madison? We liked the name Jordan for our protagonist because it is youthful and stylish, and yet has substance. I am always on the lookout for new names or unusual names and so is Victoria: the obits are a great source for me. Book signings are another. I love it when I find a reader with a name that’s new to me. 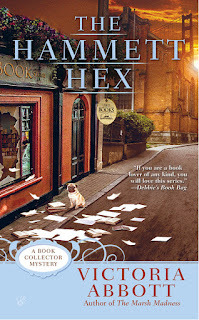 We've come up with a whole new set of relatives in The Hammett Hex and that challenged our name finding too. We used some close to home. Finally, there are the ‘bibles’: while you can check out the popular names on line, for years we’ve relied on The Treasury of North American BABY NAMES. 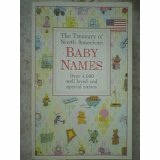 Despite the title, it also has a great section on names from the UK and Canadian names and lists of the most popular boys and girls names (by country) at different points in time. We also love Anne Geddes Baby Names, which gives their meanings and is beautifully illustrated. If we were looking to name a young child (real or fictional) we would look to new sources. So that’s a bit of background: so do you have strong feelings about names in books or real life? Things you love or things you hate? You know that you can always speak your mind here. Let’s hear it!